For a democratic secular Iran. For peace and prosperity in the Middle East. : Why BBC or VOA Persian Didn't Report Jamali Fashi's Photoshopped Passport? Why BBC or VOA Persian Didn't Report Jamali Fashi's Photoshopped Passport? I don't think I ever remember an Iran related news story that was so widely reported in the global media, as the Jamali Fashi's photoshopped Israeli passport was, which still didn't make the news on BBC Persian or VOA Persian; the two most funded Persian news channels outside Iran, not financed by the Islamic Republic. To explain the main reason for my disappointment, I need to talk about a brief chance meeting I had with a former OTPOR activist, Ivan Marovic, few years ago. As I listened carefully to Ivan's recollections of how OTPOR grew from a small organisation into a movement that played a major role in bringing democracy to Serbia, there were a number of commonalities that matched his experiences to my own instincts. One of Ivan's recollections of how they brought down the dictatorship in Serbia, that relates to this post, was the importance of exposing the bungling incompetence of the Milosevic regime. Ivan was saying if someone wanted to make a documentary about North Korea, it shouldn't be about the tortures and brutalities and the iron grip of the regime, we already know all that, it should be about how easy it was to bribe the border police and fool the party officials etc. To constantly keep going on about the brutality and the tortures and the imprisonments by the regime will create an atmosphere of fear amongst the general public and will show the state is powerful and in control. What needs showing most; is the regime's ineptitude and it's Achilles Heel. The comical attempt by the Islamic Republic's intelligence ministry to show how Jamali Fashi was given an Israeli passport by Israel was just the sort of thing Ivan was talking about and it was just the kind of story that needed to be told to the Iranian public but both BBC Persian and VOA Persian failed to report the story. What could be the reason for such bad judgement shown by their news teams? Is it a personal problem they have with me? Possibly or more probably, as another friend of mine suggested, the overwhelming majority of staff in BBC Persian and VOA Persian are anti-Israeli Leftists who become tunnel visioned as soon as they hear the word Israel. 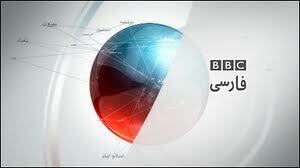 It is a question that can only be answered by VOA Persian and BBC Persian news teams themselves. This was absolutely brilliant, Potkin. Please try to disseminate the wisdom of this article as widely as you can. I will do my own part. Ivan Marovic makes a good valid point. Expose the ineptitude and corruption of a Regime. And yet when it comes to the outside media where were the constant egg on face stories about Iran's billion dollar embezzlements? The environmental mis-management of Orumich lake and growing dust storms in Tehran? The laughable polling figure numbers at the recent elections? The majlis ordered Basiji attack on the British Embassy. And the delibrately lax security surrounding the nuclear scientist assassinations? All these stories handed on a platter to undermine the credibility of the Regime and yet stories often shrugged off as barely a footnote! So instead of this gung-ho lazy news agenda over the nuclear issue, just think - proper investigative journalism sustained could really expose, embarrass and crack the Regime wide open!